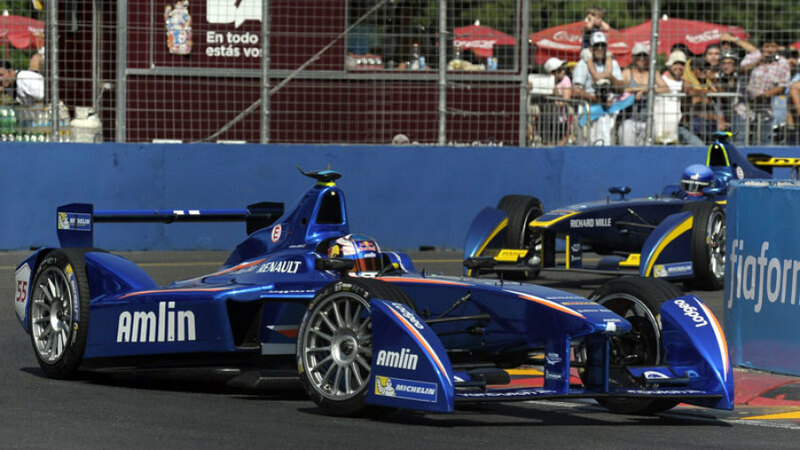 Antonio Felix da Costa claimed a remarkable first Formula E victory after four cars ahead of him faltered in the closing stages in Argentina. Sebastian Buemi, Lucas di Grassi, Nick Heidfeld and Sam Bird all hit trouble late on to give the Portuguese a memorable victory, Amlin Aguri's first of the season. Buemi had led away from pole at the start of the race and looked in control until after the first pit stops but eventually buckled under pressure from di Grassi, clipping the wall at the high-speed chicane. Di Grassi's lead lasted just two laps before his suspension snapped at the same point, promoting Heidfeld up the order. But the German's hopes of victory were then undone when he received a drive-through penalty for speeding in the pit lane. Da Costa had already been elevated to second when Bird was handed a drive-through penalty of his own. After Da Vosta inherited the lead from Heidfeld the drama stopped and he brought the car home victory, with Nicolas Prost and Nelson Piquet Jr rounding off the podium places ahead of Jaime Alguersuari, Bruno Senna. Jean_Eric Vergne finished sixth, though he could have been on the podium where it not for late contact with Alguersuari as the pair battled for third.